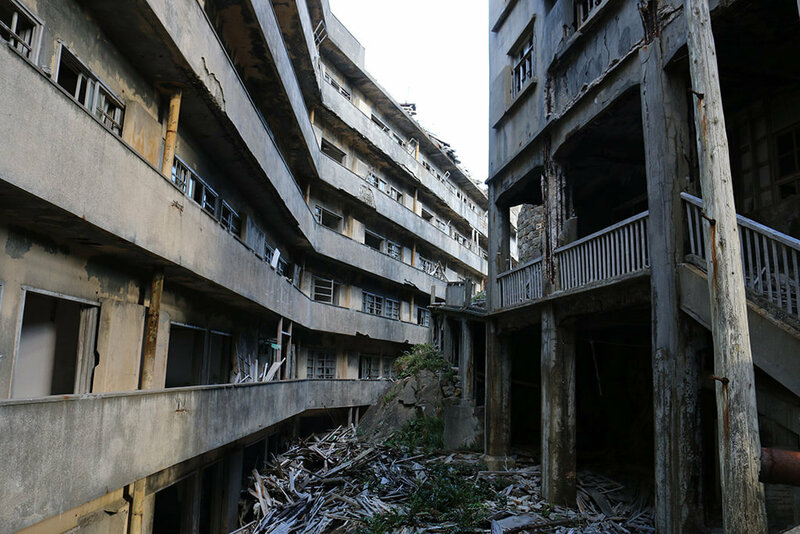 Hashima Island is one of Japan’s most popular tourist destinations, but this modern-day ghost town has a sordid past that only recently became known to its many visitors. 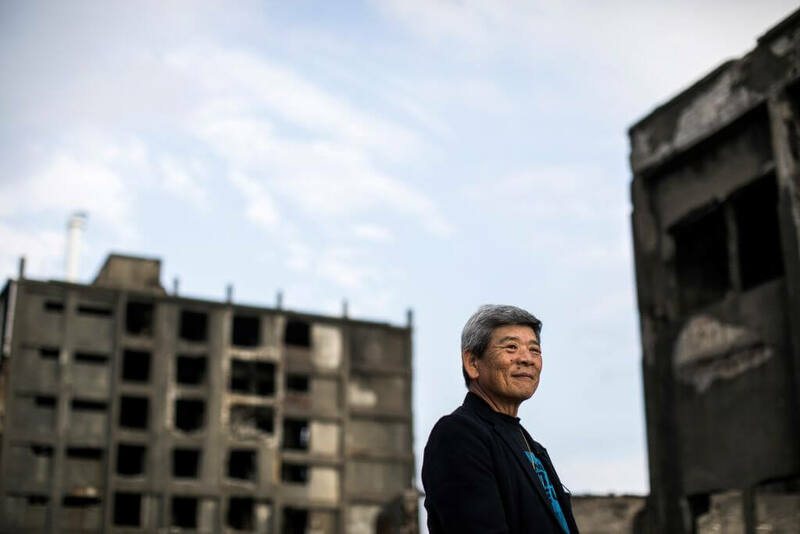 After Hashima Island became a UNESCO World Heritage Site, the organization encouraged the Japanese Government to spread awareness about the island’s history of forced labor. So where did everything go wrong? 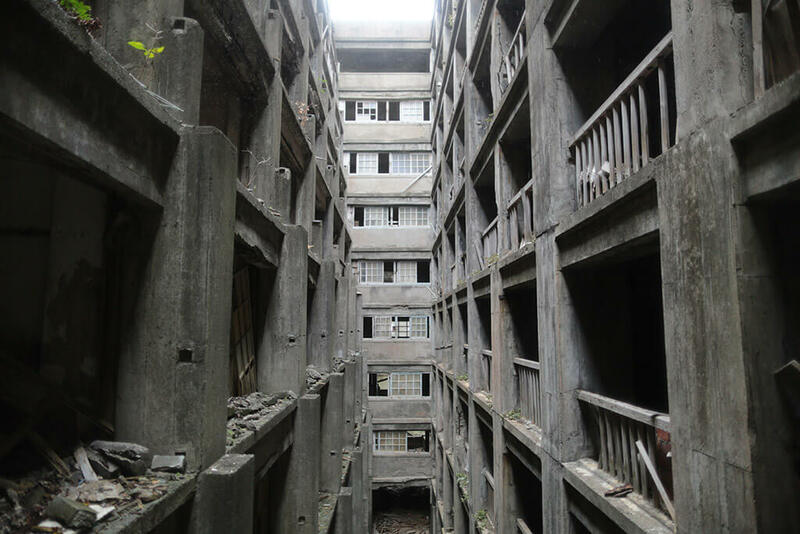 Somewhere a long the line, Hashima Island went from being the most populated place on the planet to having zero residents. And it happened practically overnight. All that’s left today are the prison-like concrete buildings and the alleged ghosts of the tortured spirits that forever haunt its mine shafts. 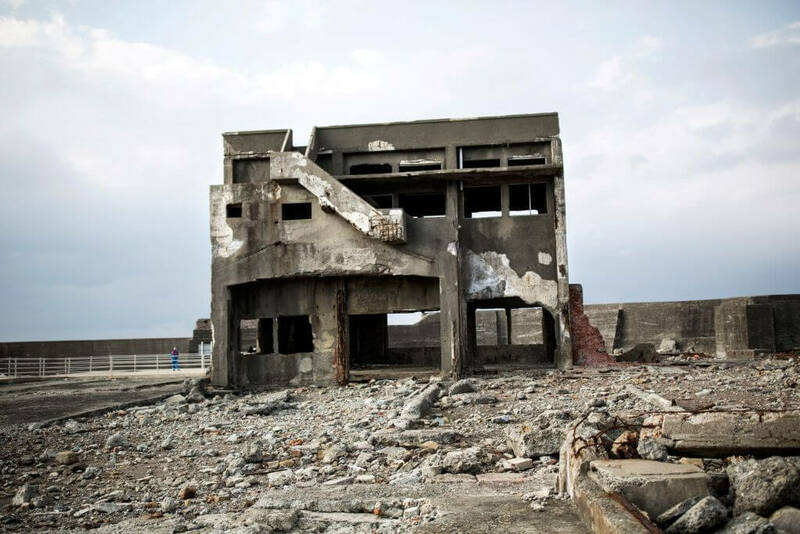 Hashima Island, better known as Gunkanjima, has long been forgotten. This tiny speck of battleship-shaped land rests just off the coast of Japan, but the only way to visit is by boat. It takes less than an hour to get there from Nagasaki, but you’ll be hard pressed to find a way in if you’re flying solo. 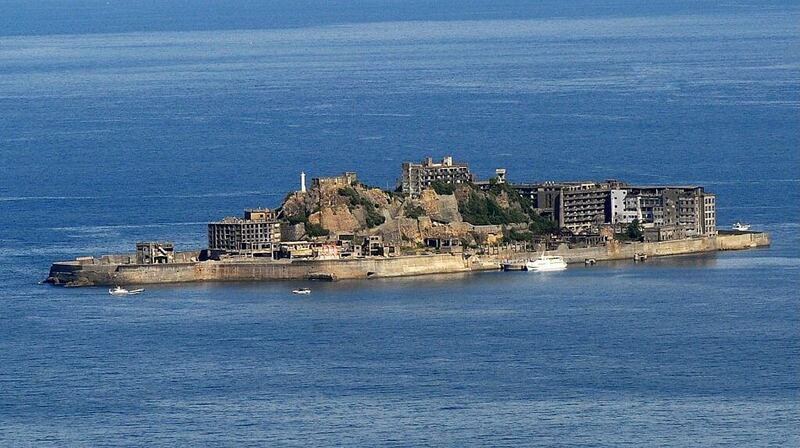 The truth is, you can’t get to Hashima Island on your own. The buildings are in shambles, at risk of crumbling at any minute. The government mandates when tourists can and cannot visit. A number of companies do offer group tours, but you won’t be able to navigate the territory by yourself unless you’re a journalist or member of the media who are granted an exception. 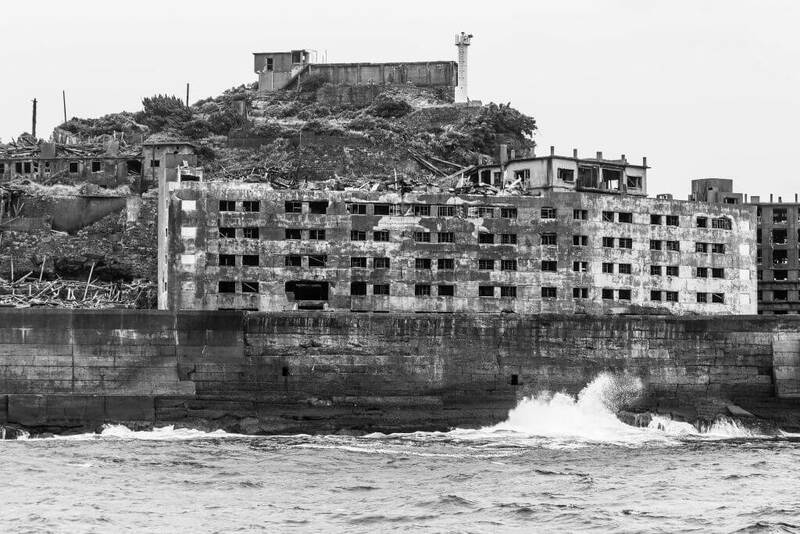 Hashima Island landed the name of Battleship Island because of its shape, not because ships literally have to battle treacherous ocean waves to get there. Nonetheless, the waters are exceedingly dangerous, especially in inclement weather. Wind, slight rain and even a little bit of cloudiness can activate the waves and shred the visibility of its rocky shores. In other words, you’re not getting there until the sun comes out. Because of inclement weather, tours only operate around 100 days a year. They’re frequently canceled, sometimes in the middle of the journey. Thankfully, most tour companies either offer a replacement tour or give full and partial refunds. That sounds a lot better than accidentally swimming with the fishes! 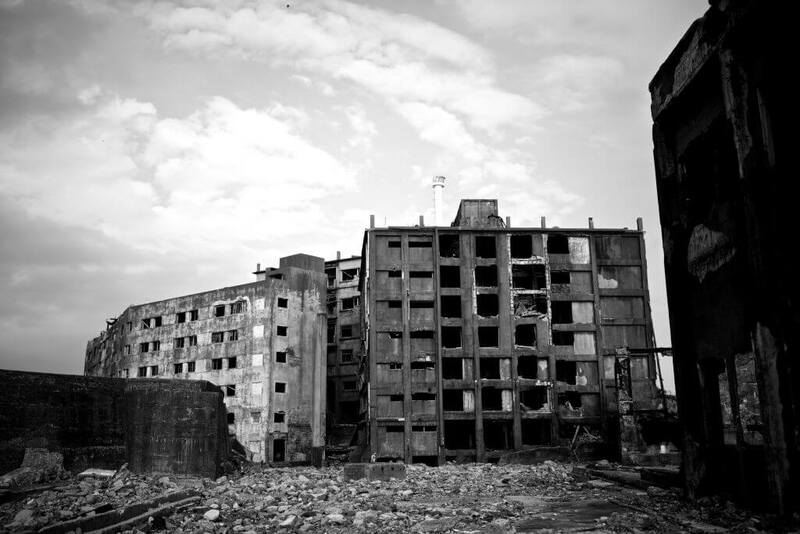 By all accounts, Hashima Island was unremarkable on the surface. It was one of many small, uninhabited islands off the coast of Japan. It was more or less barren and was devoid of rich vegetation and the wild creatures that would bring. It was basically a ghost before it ever took life. Then, someone discovered Hashima was rich with coal. The Mitsubishi Corporation purchased the island in 1890 to start seabed mining. They subsequently drilled two 199-meter-long vertical mining shafts — one in 1895 and one in 1898. As a result, the company sent coal miners and their families to live and work on the island. By 1916, the island produced 150,000 tons of coal and a whopping 3,000 people lived within its tiny borders. Because the mine was so successful and a seemingly-endless resource of coal, Mitsubishi built up the tiny island even further with a series of land reclamation projects using slag from the huge mines. In other words: the company created brand new land over water, but it still wasn’t enough space for all the industrial facilities and all the people they employed. During this time, concrete, jail-like apartments popped up all over the island. This didn’t stop even when concrete projects across Japan were stalled during World War II. People were basically just fitting in wherever they possibly could — and it was cramped. Japan is home to a number of tall buildings, and will be home to a number of taller buildings. In 2041, the largest wooden skyscraper is set to be erected in Tokyo. This planned structure will tower at a reported 350 meters tall, but it won’t even be Japan’s most impressive. Currently, the Tokyo Skytree is the tallest tower in the world and, by far, the tallest structure in Japan. It towers at 634 meters, but this wasn’t always the case. 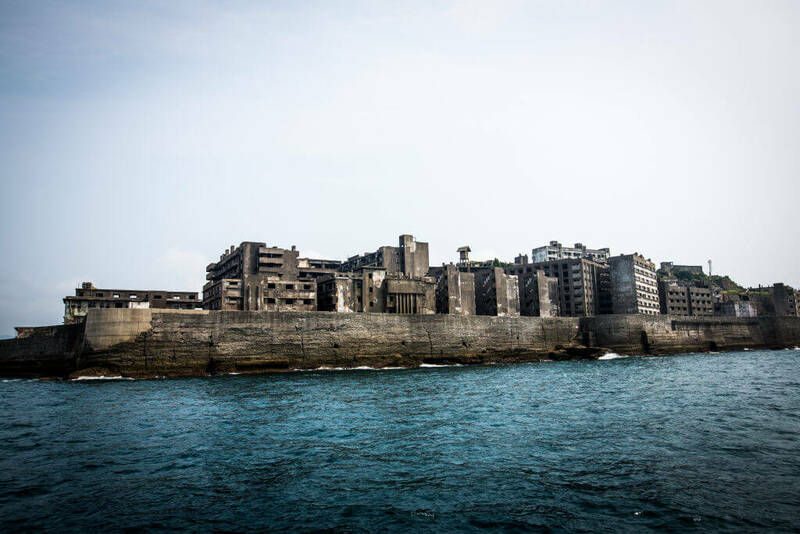 In Hashima Island’s heyday, Mitsubishi erected Japan’s largest concrete building within its sea walls. It was a whopping nine stories tall. Asia is known for having extreme population density. We’ve seen it with the Kowloon Walled City in Hong Kong, which was originally built as a military fort in 1810 and became a hotbed for squatters in the late 1940s. 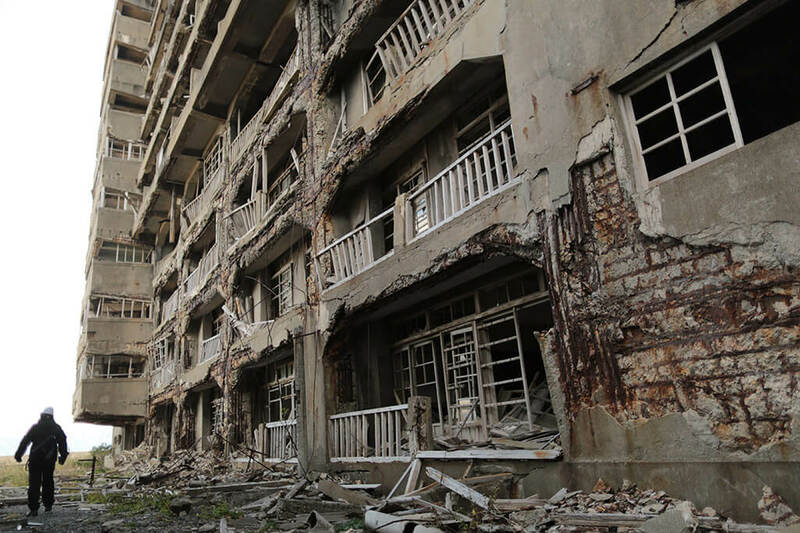 The insane population density on Hashima Island came a decade later. Hashima Island’s population peaked in 1959. There were a whopping 5,259 people, which doesn’t seem like a lot until you consider the fact it encompassed just .02 square miles. The population density was a whopping 216,264 people per square mile and prison-like buildings stretched nine stories tall to accommodate everyone. For reference: Hong Kong, one of the most populated cities in the world, only has a population density of 17,000 people square mile. 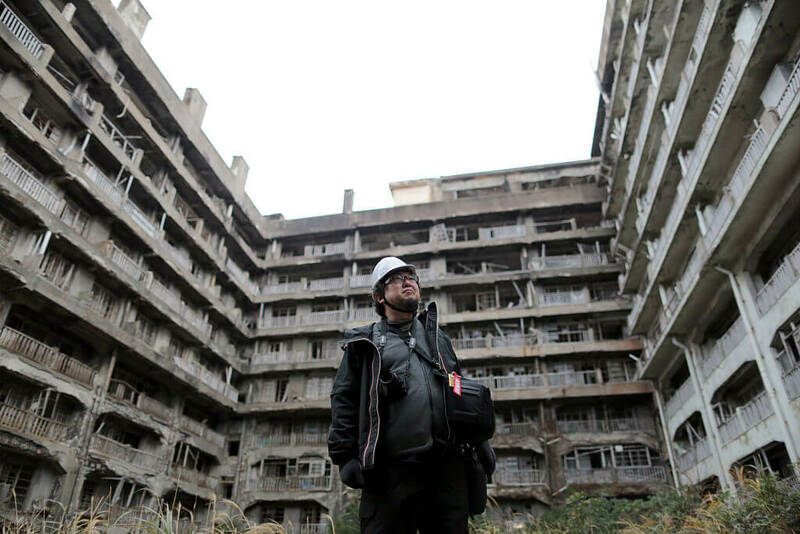 To get a perspective: Hashima Island was barely the size of 12 football fields. It only took a few minutes to walk from one end to another, but that didn’t stop Mitsubishi from transforming it into a mini metropolis. The island included over 30 concrete buildings, a number of retail stores, a supermarket, bars, restaurants, schools, a hospital, a library, a gymnasium, hairdresser, movie theater, temple, and even an outdoor swimming pool — but that didn’t last forever. Underneath the island, networks of coal mining shafts cropped up like spider webs. By 1941, it was producing 410,000 tons of coal a year. Can you imagine squeezing into one room with your entire extended family? 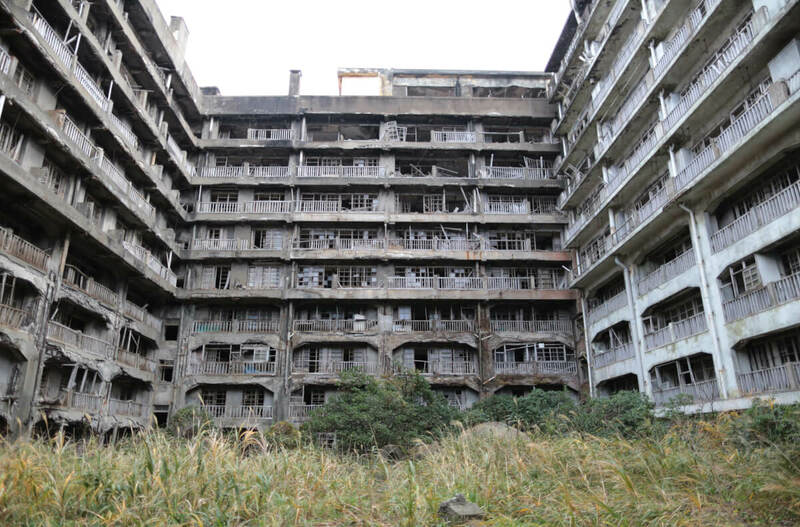 If you were a resident of Hashima Island, that was just the norm. Most families lived in a single, small room and were completely reliant on the outside world. This meant there was widespread hunger during the Typhoon season when ships couldn’t make the short trip across Hashima’s treacherous seas. The work wasn’t easy either. The mines were extraordinarily humid, especially 1,000 meters beneath the ocean. The shafts were rickety and dangerous. They often collapsed, filled with toxic fumes or were subject to fatal gas explosions. Around 200 people died in the mines before World War II, but even more perished after. 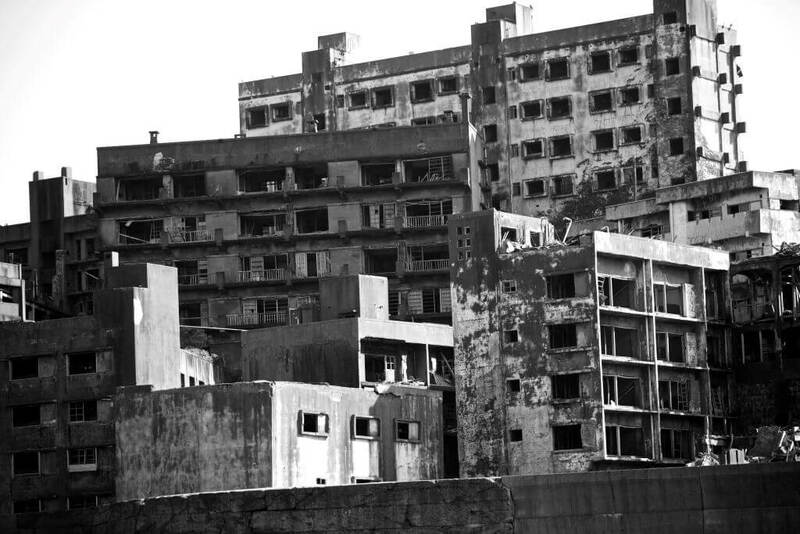 Hashima Island has a dark past. It wasn’t just Mitsubishi that pushed their paid workers into deplorable, cramped conditions. During World War II, Japan was a hotbed for forced labor. Around 41,000 war prisoners were sent to the country, but a whopping 3,765 were placed on Hashima Island. There, they dug for coal in the perilous conditions and were so malnourished that they literally looked like living skeletons. Their bones poked out from underneath their skin, and many didn’t survive. 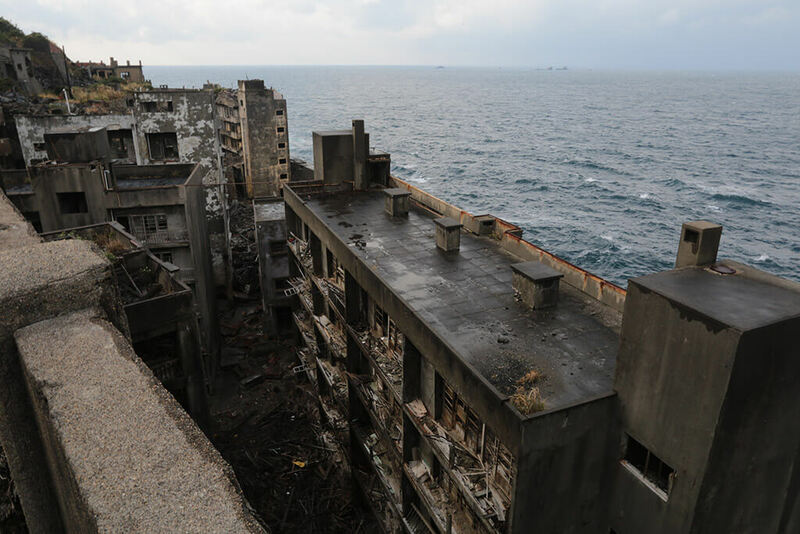 Hashima Island didn’t start out looking like a prison, but somewhere along the way, a giant, concrete sea wall was built to protect its residents from large, ocean swells. Then, they sent in the actual prisoners. Zhongwu claims the whole place felt like a prison, and the laborers who tried to escape often fell into the ocean and drowned. No one was actually able to escape alive. Others committed suicide because they could no longer take the humiliation. By the time WWII ended, 722 Chinese labourers and 1,442 Korean labourers were tortured to death within Battleship Island’s tall, concrete walls. Most of Japan’s able-bodied residents were sent to the battlefield during World War II. This left a major void in Hashima Island’s workforce. Of course, they couldn’t just ramp down coal production. That’s a major resource and money they weren’t willing to miss out on. Instead, the country sent prisoners of war to do the most dangerous jobs in the mines. They also had the worst living conditions. 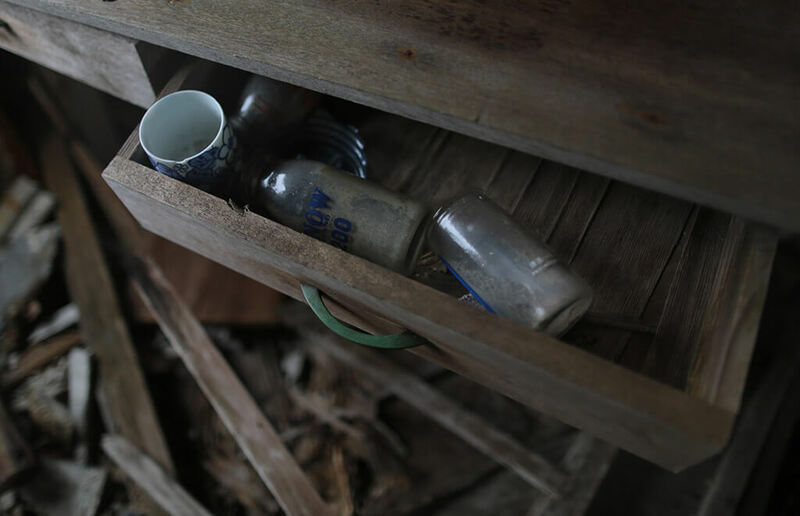 Japan’s war prisoners lived in absolutely filthy conditions and were given little to no food. Many of them collapsed within the mines, and it’s estimated that three to five prisoners of war died on Hashima Island each month. 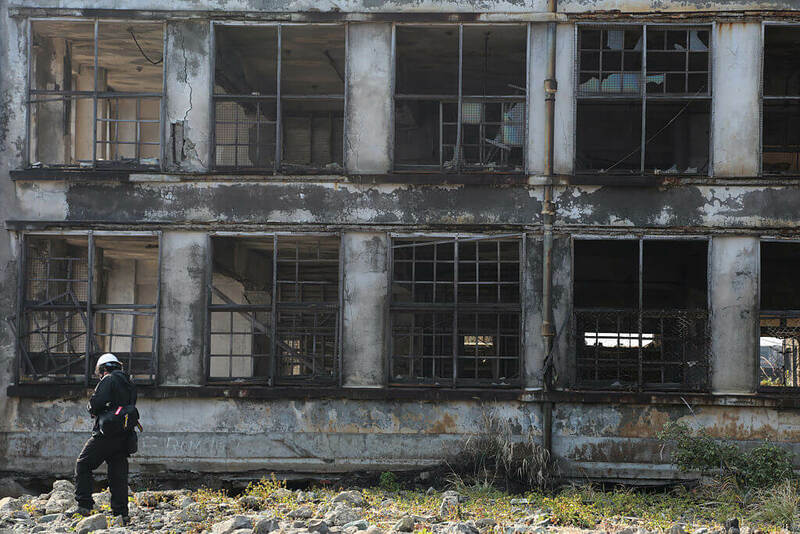 There was no place to bury bodies on Hashima Island. The surface was stacked to the brim with buildings, and underneath was a network of coal mine. To get rid of the bodies of all the prisoners of war who perished in Hashima’s treacherous conditions, the city built a crematorium. The crematorium ran around the clock and there was a near-constant stream of smoke bustling from its smokestack. It was a constant reminder of all the lives lost to starvation, accidents, suicide, and hard labor. It was only in 1945 when an atomic bomb was dropped on Nagasaki, that the prisoners on Hashima Island were finally freed. Things weren’t easy for Japan after two atomic bombs were dropped on citizens, killing thousands. Their defeat in World War II was largely considered humiliating and a dark spot on the country’s otherwise prosperous history. 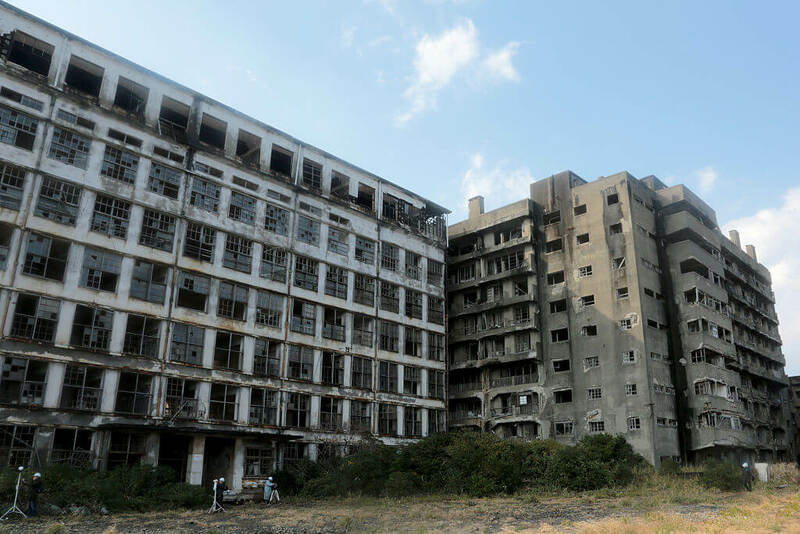 Hashima Island ended up playing a key role in the country’s recovery. During the Korean War in the early 1950s, Japan’s economy grew rapidly. Hashima Island was producing more coal than ever and the Island’s citizens were purchasing electronics like TVs and refrigerators. These were previously reserved for the wealthy. These luxury items allowed residents on the island to connect to the mainland and become more self-reliant. Constant shipments of fresh food were less vital with refrigeration. In 1957, the island finally got its own system of fresh water. A series of pipes were laid underwater connecting it to the mainland’s reservoirs. Because of this, people also were able to grow fruits and vegetables. A number of rooftop gardens popped up on the island. Previously fresh fruit and vegetables were considered a luxury. Though Hashima Island seemed to be booming and the quality of life on the island was the best it had ever been, things were about to change. 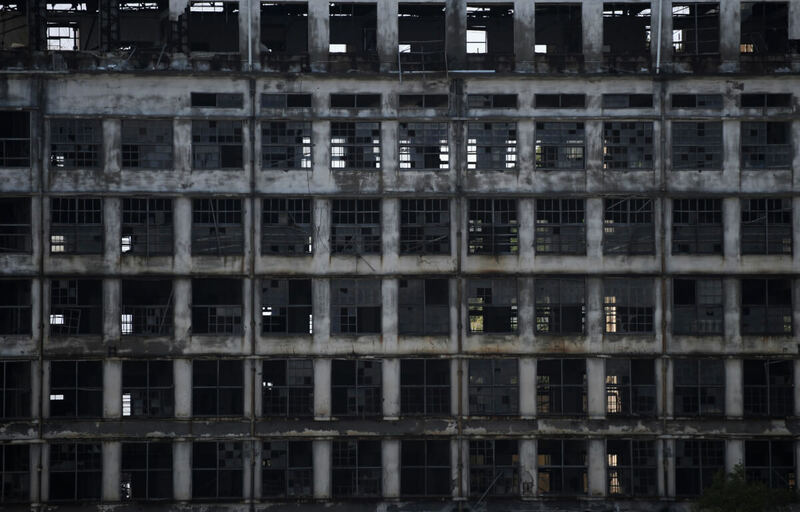 Hashima island couldn’t withstand Japan’s major shift away from coal. This is when the island quickly became a ghost town. Hashima was at its height in 1959, but as soon as Japan rolled into the ’60s, the country decided to make a shift away from coal power to petroleum. Coal companies were swiftly becoming obsolete and many closed across the country during this time period. Hashima was one of the few that fought to continue producing coal, but nature would eventually have its way. In 1974, Hashima Island closed for good. The coal mines were depleted and the shafts had become so long that it added innumerable expenses to the already declining cost of coal. In other words: it just wasn’t worth it. With the coal mines depleted and the island officially closed for business, there was virtually no reason for anyone to live in Hashima’s cramped quarters. People left in droves practically overnight. It went from being the most densely populated place on the planet to having virtually no residents. Because residents left the island so quickly, it became a rather well-preserved ghost town. People left behind nearly all of their belongings. Coal mining equipment lay mid-job. It proved to be too costly to clean and clear out the island, so it was left to rot. Today, the concrete city has been completely left to the elements. Visitors can walk into apartments and see them left exactly the way that they were when their residents packed up and shipped off in the middle of the night. It’s like a 1960’s time capsule with vintage TVs and mid-century modern furniture sets. In some cases, there are even plates of food still left out on decaying tables. The only life on the island seems to be stray cats who are believed to have descended from the house cats left behind — that and an army of rats who crawl through the abandoned tunnels. With so many concrete walls, there’s a lot of space to vandalize. 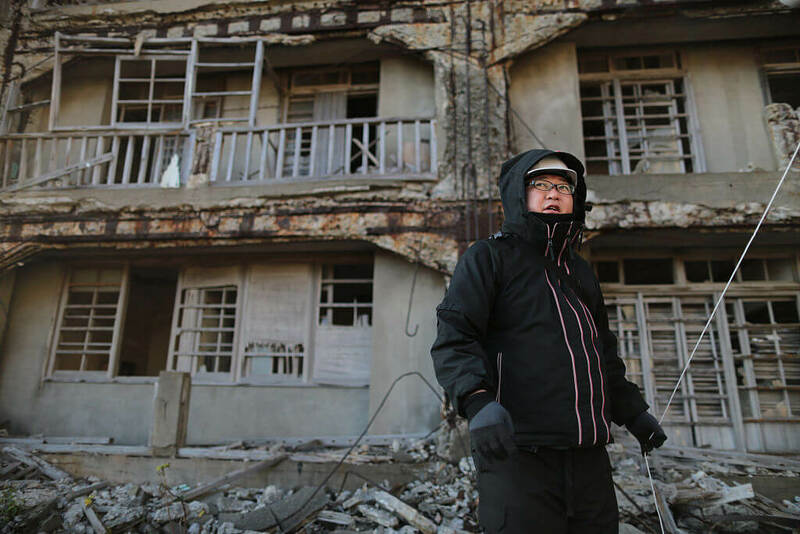 A few urban explorers have managed to make their way onto the island and leave their mark in the rubble. One poignant piece of graffiti reads: "Hashima Island has gone. This place is dead." Beyond that, the abandoned hospital still has long-expired pills patiently waiting for patients who will never come. The medical equipment is actually still in near-pristine condition, though they’ve collected a substantial amount of dust. The restaurant refrigerators are still packed with the remnants of decayed food. The power has long been shut off. Textbooks are lined up on desks within the school, as if a lesson was about to start. With such a sordid history, it shouldn’t be surprising that many visitors claim the island is haunted. Those who venture within its walls have mentioned hearing moans, howls and screams coming from the underground passages. Others have felt cold bursts of air that they can’t explain or felt the unwanted touch of ghoulish hands. Boats have reported seeing flickering lights from the shoreline, but the electricity has long been disconnected. If you want to go see the ghosts for yourself, you might be out of luck. 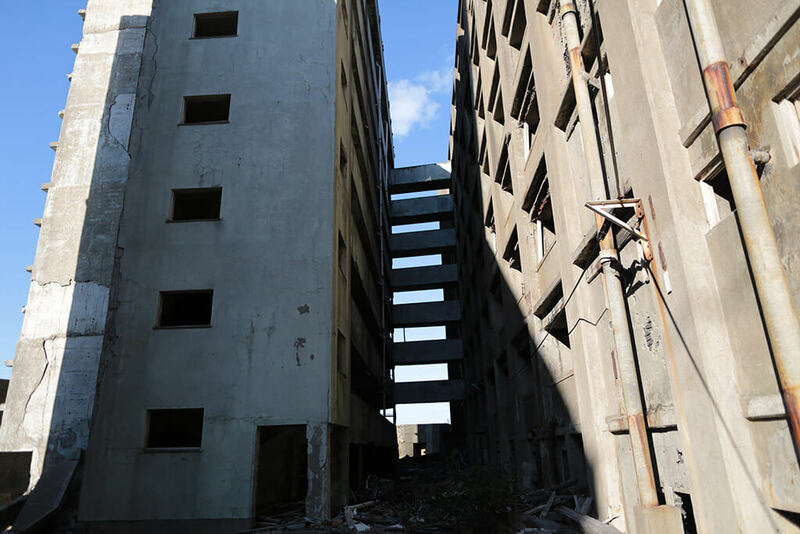 Hashima has long been closed to the public and visitors must get special permission. In July 2015, Hashima Island became a UNESCO World Heritage Site because of its role in Japan’s Meiji Industrial Revolution. It’s also become a popular filming location because of its stark architecture. The island was featured as a backdrop in the critically acclaimed Inception. It was also used in the James Bond flick Skyfall as villain mastermind, Raoul Silva’s lair. 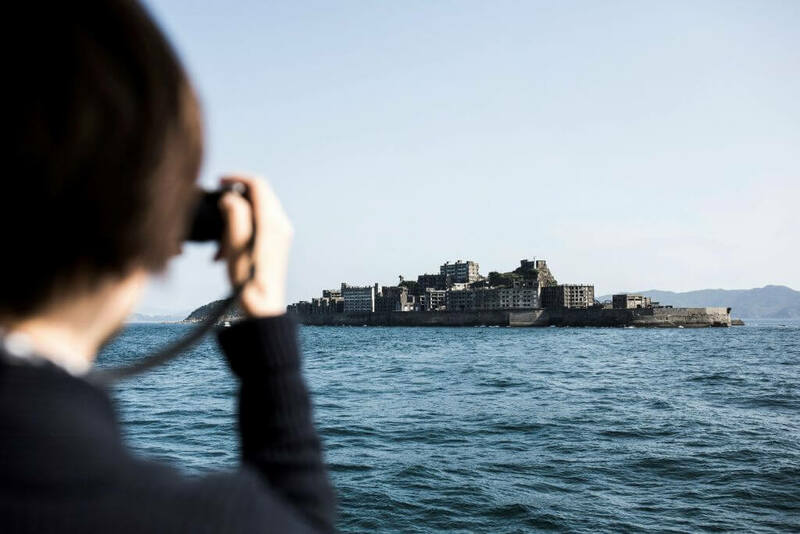 Since Japan opened Hashima Island to tourists in 2009, it’s become one of the country’s most popular tourist destinations. Of course, the areas open to the public are extremely limited because the state of many of the buildings has become quite dangerous.